Since iOS 7, people seem to be less enthusiastic for jailbreaking iOS, it’s all due to the Apple brought a lot of improvements replace those cydia tweaks have. iOS 9.3 is coming, but there is little news about the iOS 9.3 jailbreak, although Luca Todesco released a video to demonstrate the iOS 9.2 and iOS 9.3 jailbreak month ago. In fact, in addition to Pangu, TaiG and other well-known teams, there are other unknown hackers has been ‘working on’ jailbreak iOS 9.3. A total of four different teams and individual developers have claimed to have the most anticipated jailbreak, however there are bright chances that they are just bluffing and won’t be able to release a jailbreak in the near future. The reason for saying this is all of these four claimants, that includes a jailbreak team named Taoyi, Yalu 9.2, enMTW and Josh have never released any jailbreak tool or been part of a well known jailbreak team that has a good track record. Yalu9.2/WaveBr3ak: First up is the Yalu9.2, who claimed that their jailbreak is ready for release tonight, only to change the ETA to “when iOS 9.3 is publicly released”. Although they have not provided any proof for their claim they say their tool is only going to work on the Mac and will support 64-bit iOS devices. We will believe them once we get our hands on a working jailbreak tool. enMTW: Twitter user enMTW has tweeted screenshots of an alleged jailbreak, however that can easily be faked and we are afraid that might be the case here. When someone asked whether he will release a jailbreak, he simply replied with ‘soon’. Although we are inclined to give him the benefit of doubt, we wouldn’t count on him releasing the hack. Josh: This ‘iPhone hacker’ has claimed that his untethered jailbreak is working on iOS 9.3 beta 3. He also shared a screenshot of the popular tweak Barrel and Cydia running on iOS 9.2.1, however only in the form of screenshots. Although he has shared several screenshots, he has yet to share a substantial proof or an ETA. Taoyi: Taoyi came into the limelight after claiming to have the jailbreak. Later his jailbreak was actually proven to be fake and he admitted to fabricating the proof adding “how easy it is to fake a jailbreak”. Apparently all their shows can not entirely prove that they already jailbroken iOS 9.3, only a few shots on twitter. 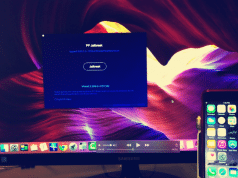 In fact, it does not matter with us, we just wait for an outcome, a new jailbreak tool, whatever it created by the reliable teams such as TaiG, Pangu and Evad3rs, or any new creation. Here, we advice you to stay away from sketchy hackers and tools and wait for the verification of a release before using it with your iPhone. Also remember, if someone asks for money in return for jailbreaking your iPhone, iPad or iPod touch running the newer iOS versions, chances are that site or person is trying to con you.